West Indies were 33 for 1 in their second innings after following on at lunch on the third day of the first Test against India here on Saturday. 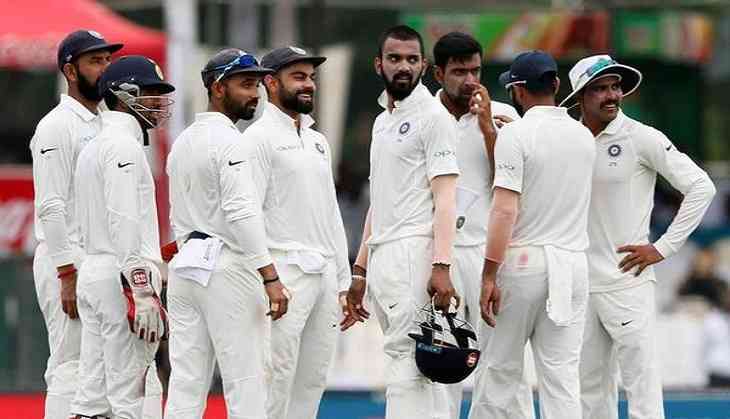 West Indies were all out for 181 in their first innings in reply to India's mammoth 649 for 9 declared and the home side imposed the follow-on. The visitors batted for the second time and they are still trailing by 435 runs with nine second innings wickets in hand. India 1st Innings: 649 for 9 in 149.5 overs (Virat Kohli 139, Prithvi Shaw 134, Ravindra Jadeja 100; Devendra Bishoo 4/217). West Indies: 181 all out in 48 overs (Roston Chase 53, Keemo Paul 47; Ravichandran Ashwin 4/37, Mohammed Shami 2/22) & 33 for 1 from 9 overs.